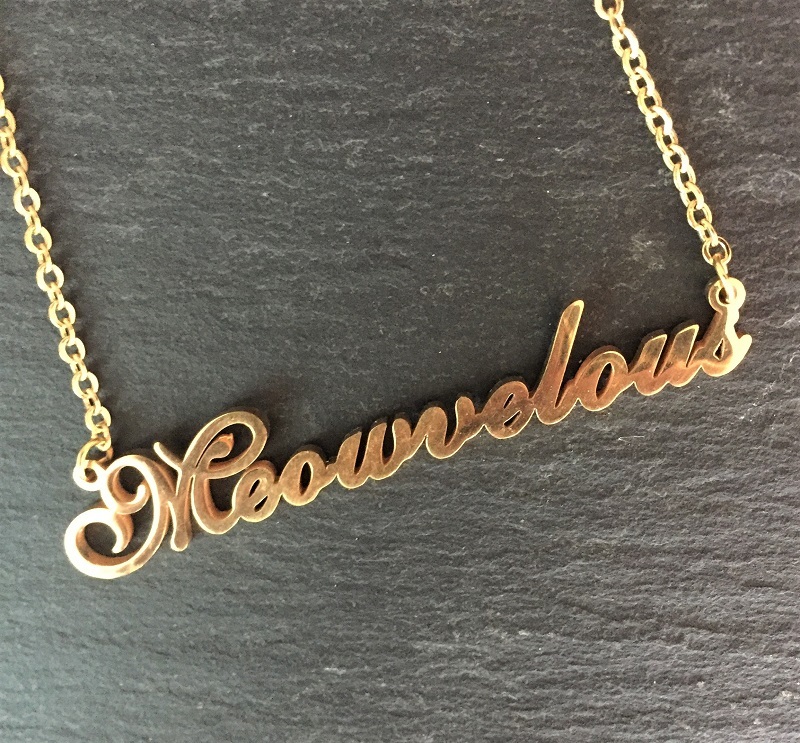 Name necklaces are so on trend at the moment and this MEOWVELOUS one will be a wardrobe staple. Elegant and classic, it will truly stand the test of time. You may never take it off! Made of stainless steel and plated in gold.